How Did the Final Journey Seminar Begin? The beginnings of this free seminar are quite simple, organic, and human. It is a story of a group of inspired individuals working together to help our community in a big way. Since my family moved to San Diego over 25 years ago it has been an ardent desire of mine to help preserve and facilitate our priceless spiritual and social culture on a local level. I have been fortunate enough to help with a few projects over the years. One area of particular interest to me has been the sublime knowledge of the soul found in our sacred Vedas. Understanding the soul, the meaning of life and what happens when the living force leaves the body…all of these topics have fascinated me. Then it happened… in 2005 I suffered a heart attack. This wake-up call became a catalyst for me to come to grips with my own mortality. I realized that if I did pass away there was nothing in place as far as whom to call for religious services, etc. and my estate planning, although good, needed more work. I also realized that many of my relatives, friends, and acquaintances were in a similar position. I wanted to do something tangible to help. I heard that the Catholic Church in San Diego has recently sponsored a seminar for its members dealing with these same issues. I called my financial advisor and friend, Sandeep, to see if he would be able to help. This was in 2006, just before I was leaving for India to visit family. I put him in touch with a few funeral home directors I had contacted and left it in his hands until I returned. Out of friendship for me and a desire to help our community he picked up the ball. 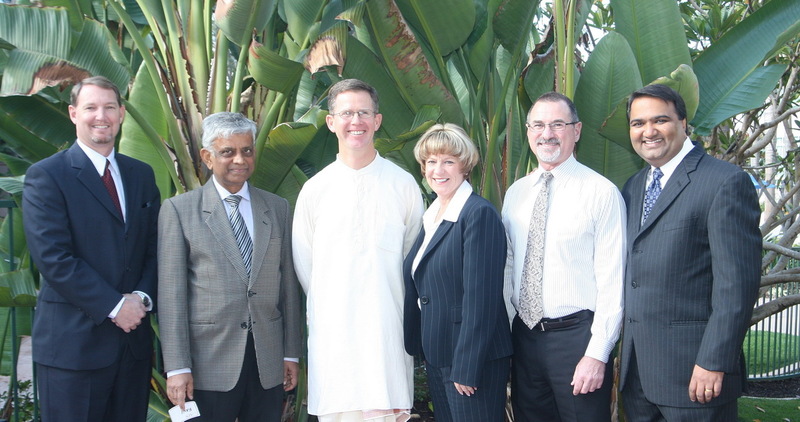 He gathered together the mortuary executives and his Hindu priest, Dharmasetu das and they met to plan the first Final Journey Seminar in San Diego. 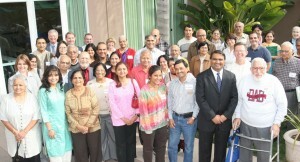 Dharmasetu das contacted the Indian temples in San Diego to invite them to participate. He also arranged for two physicians and a priest from ISKCON to talk. Along with Sandeep, a local estate planning attorney and the mortuary executive we had a complete team. 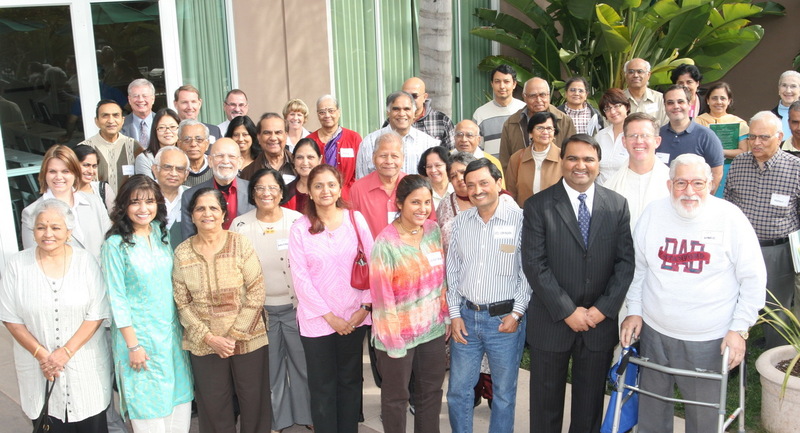 Dharmasetu das arranged for mailings and email announcements to the San Diego Indian community as well as a light prasadam lunch to be provided. The location was the San Diego Hospice and it was all set up by the time I returned in January. Sandeep and the mortuary directors graciously provided the funding to get this off the ground. Every year since we follow the same format: finding a convenient location and date, lining up the volunteer speakers and information packets, send out announcements to the local community, invite all the local temples to send a representative, and provide a light vegetarian lunch. The free seminar is solely for the purpose of providing essential information and not for selling or soliciting. The effect has been wonderful. Each year attendees of all ages express their gratitude for such an important and desperately needed seminar being made available for our community. I am happy to see my dream realized and to see it expanding to other Indian communities. One of the attendees called The Final Journey Seminar, “one of the finest examples of members of our local Indian community working together to provide an extremely valuable service for all of us”. I couldn’t agree with him more. If you haven’t attended one of our seminars I encourage you to do so and if you have, please email us through this website and let me know what you found useful and in what ways we could improve the seminar. The Final Journey Seminar is taking on a life of its own and expanding to other cities and states. If you are interested in having this seminar for your temple, association, or community please contact us. If you are a financial advisor, estate attorney, mortuary director, hospice care director, or Indian clergy and would like to get involved please contact us.